"Surrounded by soaring mountain peaks, the majestic Victoria Glacier and a glistening emerald lake, the iconic Fairmont Chateau Lake Louise hotel is located in Alberta's Banff National Park, a UNESCO World Heritage Site, and is recognized globally for progressive environmental stewardship and responsible tourism. Originally built as a base for outdoor enthusiasts and alpinists over 100 years ago, Fairmont Chateau Lake Louise is a year-round luxury mountain resort offering guided mountain tours, world-class skiing in the winter, scenic hiking and canoe activities in the summer, kid's camp, a luxury spa, and exceptional dining experiences. The resort offers 36,000 square feet of flexible meeting and event space. Step into our backyard and discover endless outdoor recreational activities including hiking, canoeing, horseback riding, fishing, mountain biking and river rafting in the summer; downhill skiing and snowboarding, cross-country skiing, ice skating, snowshoeing, snowmobiling and horse drawn sleigh rides in the winter." Featured amenities include a computer station, complimentary newspapers in the lobby, and a 24-hour front desk. Planning an event in Lake Louise? This hotel has facilities measuring 2637 square feet (245 square meters), including a meeting room. Free self parking is available onsite. lastminute.com has a fantastic range of hotels in Lake Louise, with everything from cheap hotels to luxurious five star accommodation available. 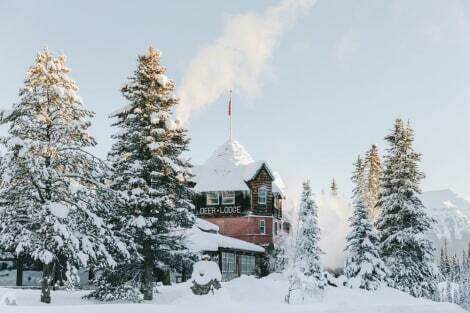 We like to live up to our last minute name so remember you can book any one of our excellent Lake Louise hotels up until midnight and stay the same night.